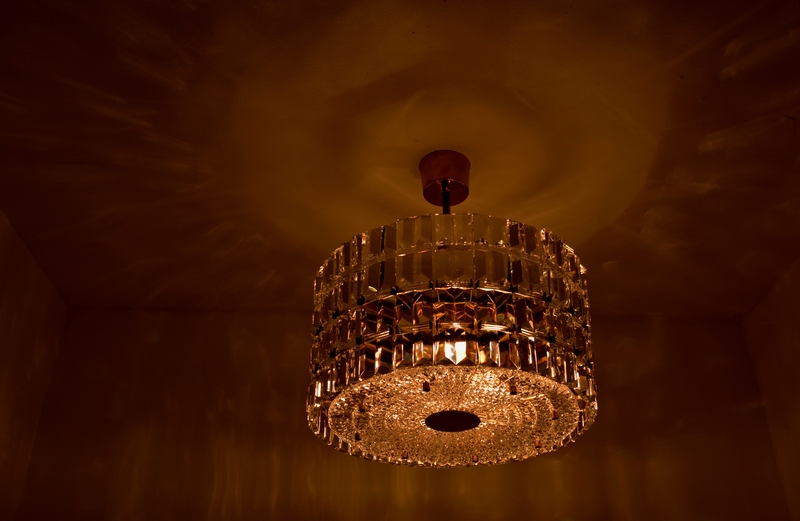 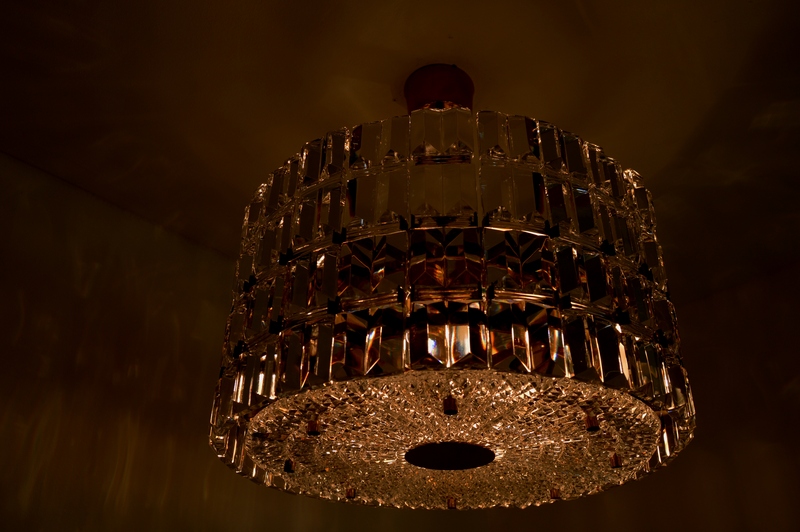 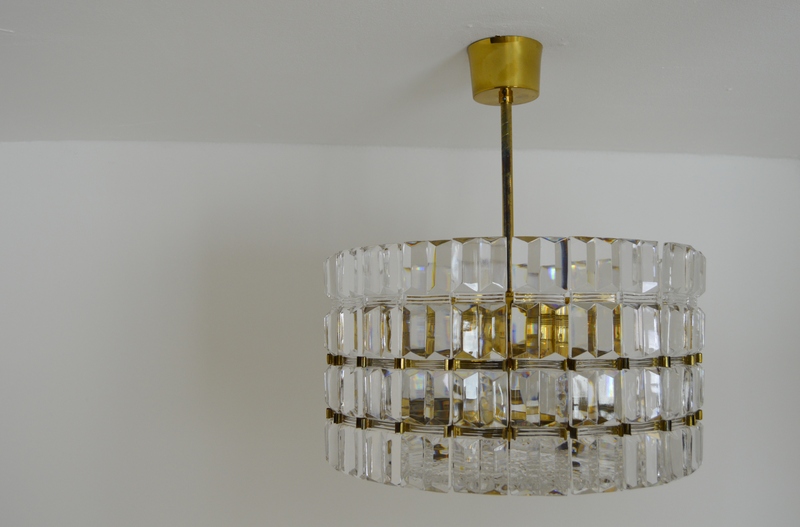 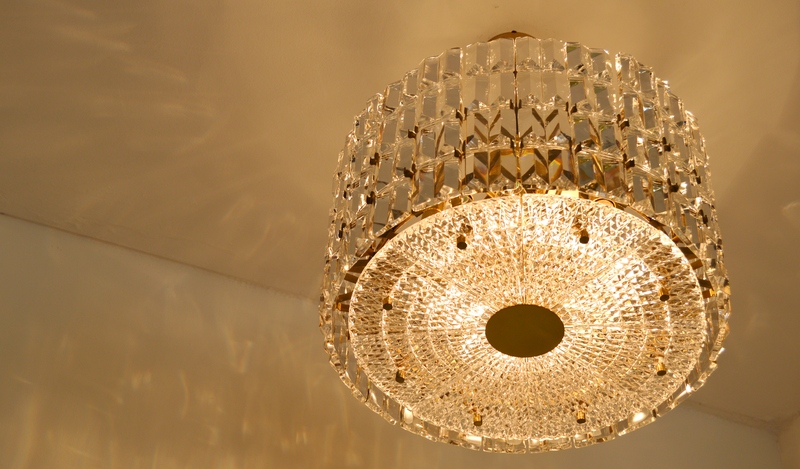 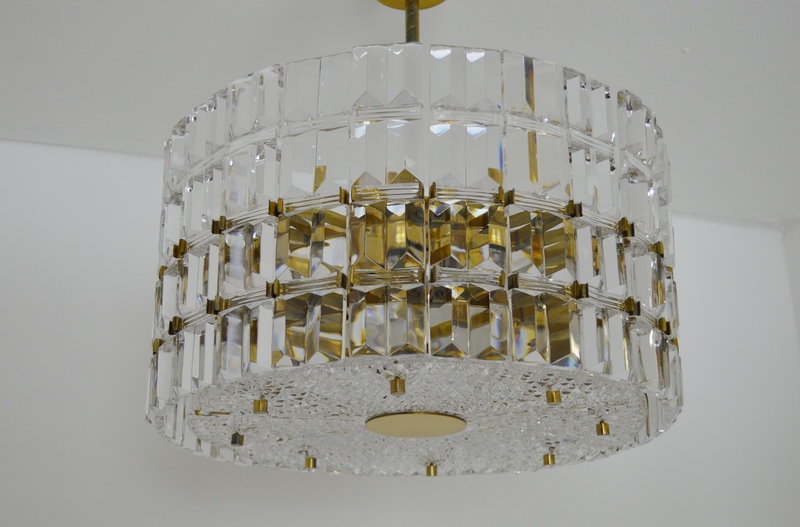 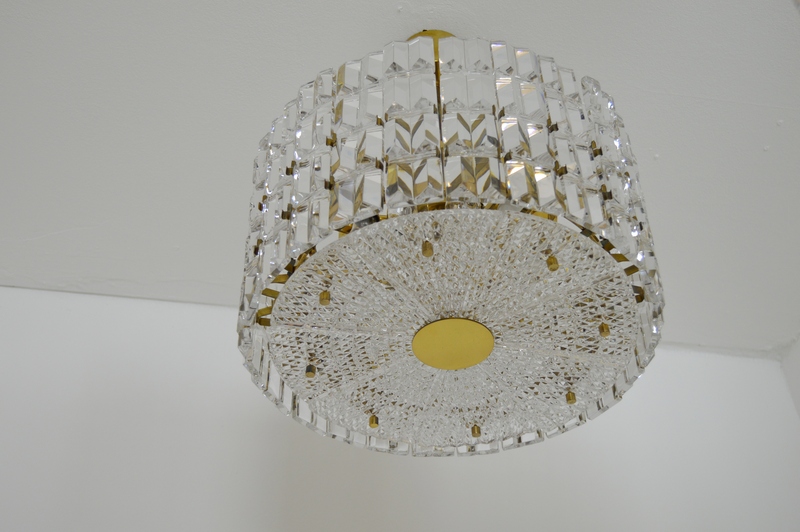 A rarely seen luxurious chandelier designed by Carl Fagerlund for Orrefors, Sweden. 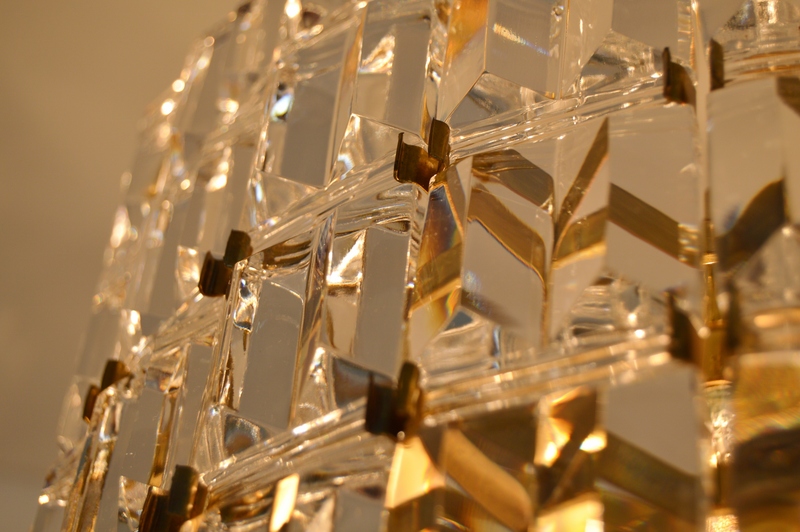 Crystal glass and brass. 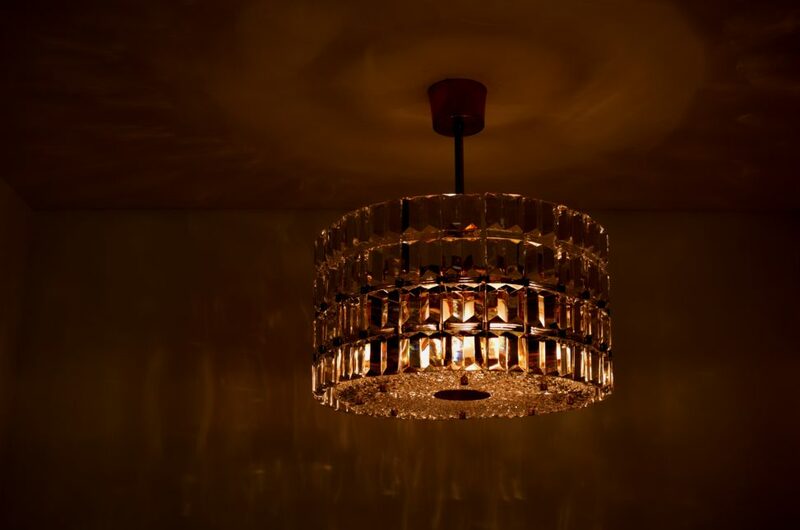 It consists of 24 large glass units that surround a round metal frame. 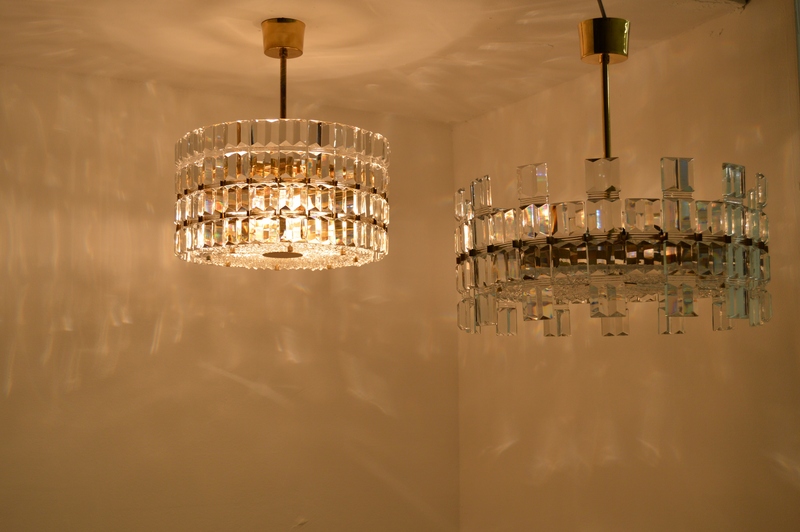 Each glass unit is clamped between four brackets. 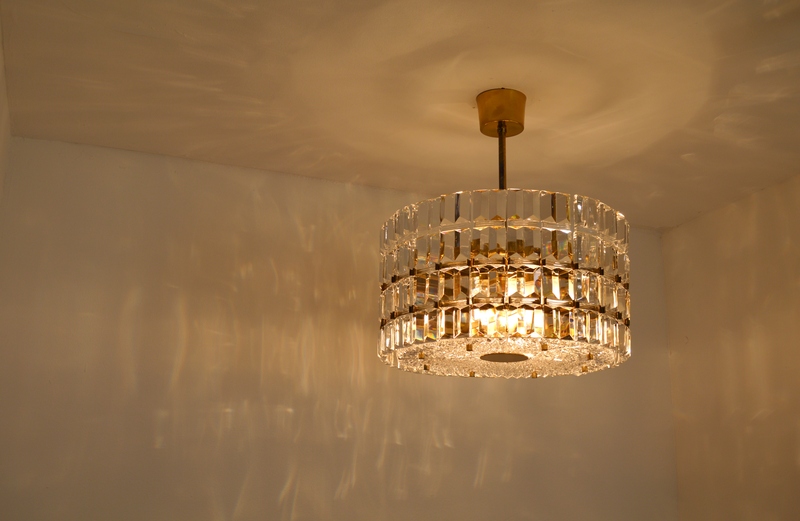 A few glass units have small nails from the brackets, which are not visible when the lamp is mounted. 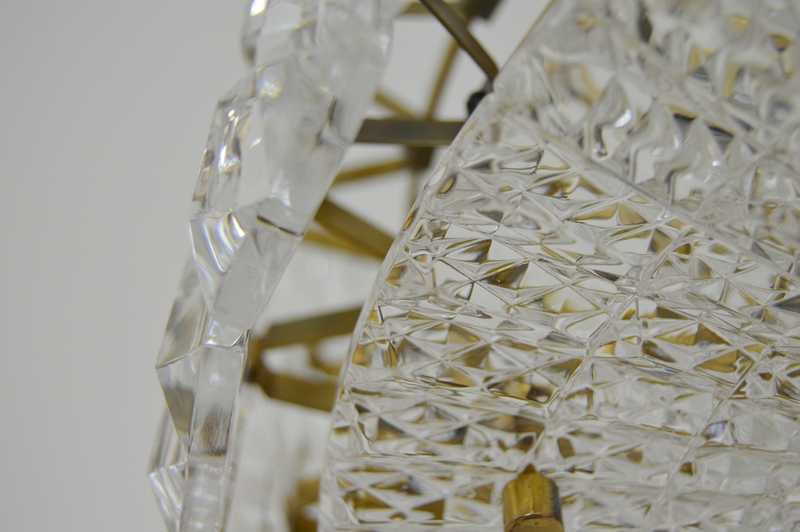 In the bottom there are 8 triangle glass units with relief pattern. 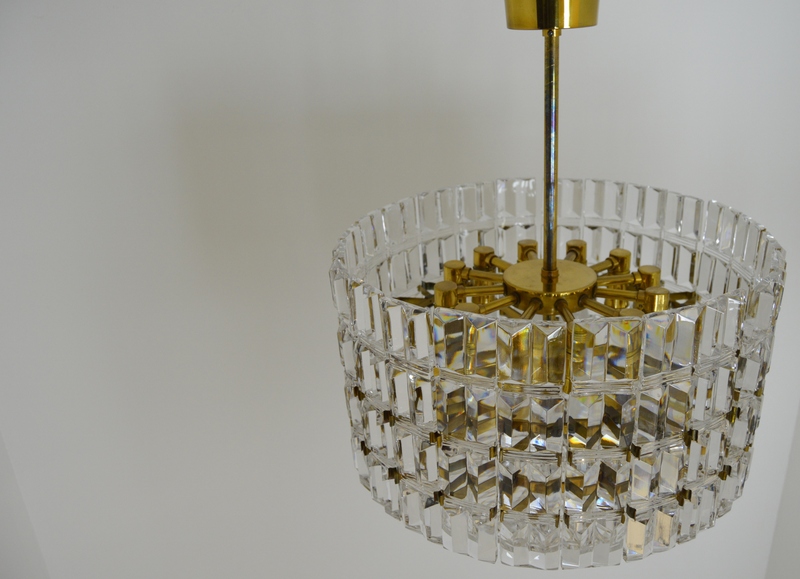 Swedish glassworks Orrefors, Mid-Century Modern design.